Early passive mobilization of the extensor tendons. 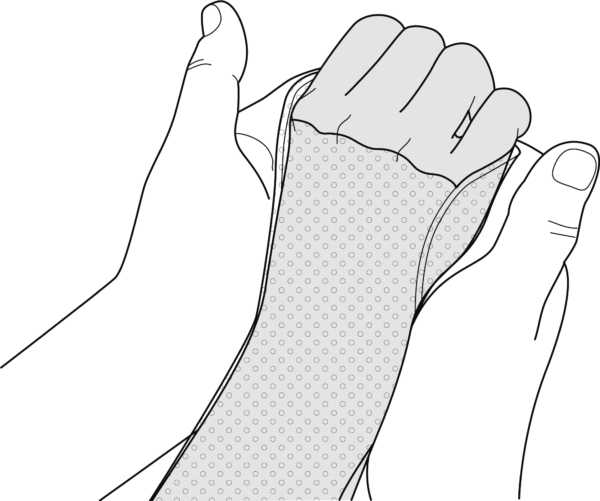 Pull the patient’s hand through the slit of the splint to right over the MCP joints. Mould the palmar resting plate for the fingers. Fold the lateral wings upwards. Press so that they stick. Position the fingers (e.g. 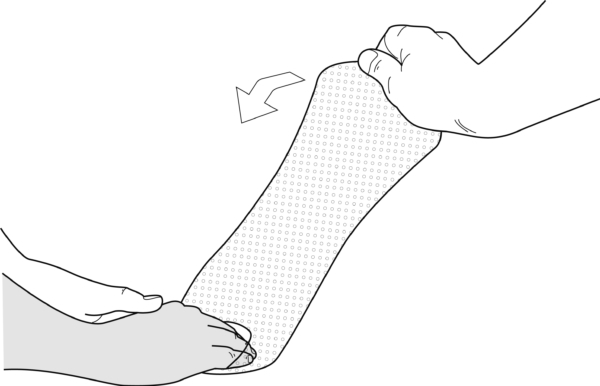 30° flexion) and the wrist (e.g. 30° extension). as described in the introduction. Leave sufficient room between the back of the hand and the splint. 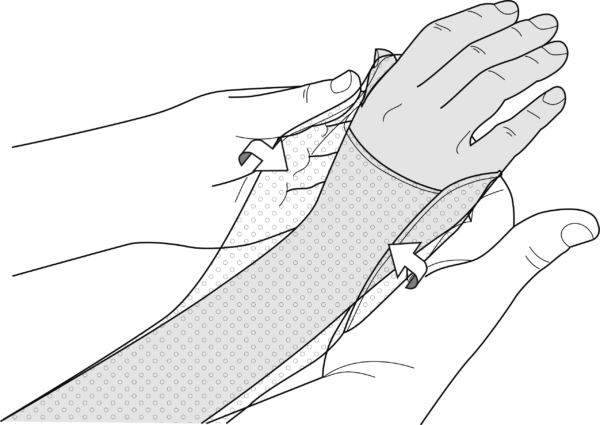 Fit a broad fixation strap proximally under the forearm.